Congratulations to Annie V on the birth of baby Jude! I am so happy for you and am excited to meet him later this year. In the meantime I thought you would enjoy these photos that I took especially for you to help ward off your postpartum weepies. Yes, that is a 24 pack of Bud Light. And yes, the can is closed. 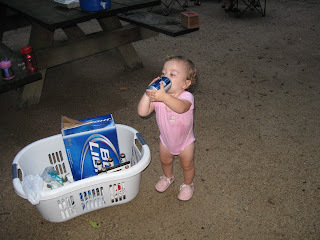 As if I would let my only girl drink that cheap beer! Yes, this is what it looks like. 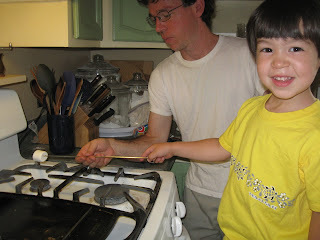 We are roasting marshmallows over the gas stove. Yes, we are making s'mores. And yes, we have become like this. Living in Western PA will do this to any family.